Ever spend time shopping at South Coast Plaza? If you live in OC, then of course you have and you have Henry Segerstrom to thank. 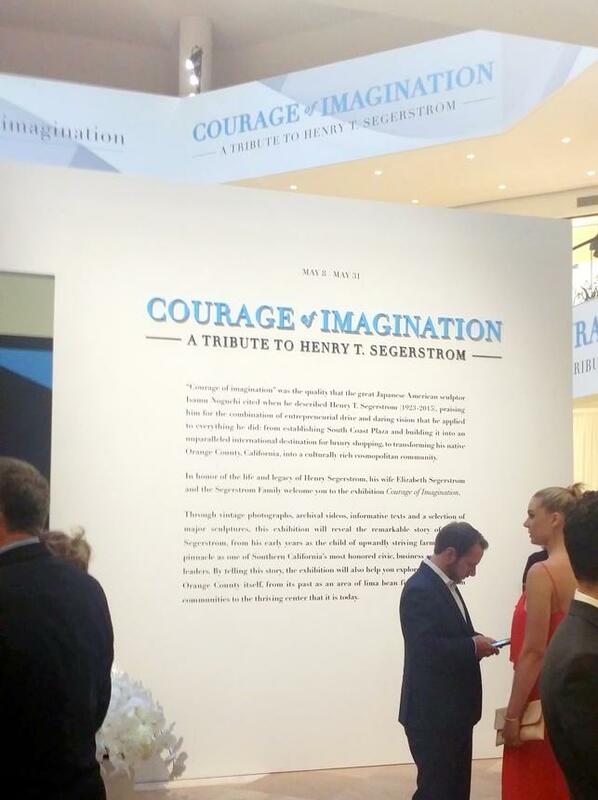 Now through May 31, South Coast Plaza welcomes the public to the exhibition Courage of Imagination, honoring the life and legacy of Henry Segerstrom, on view in a specially designed gallery within Jewel Court. I was invited to attend the opening reception and rubbed elbows with OC&apos;s elite. 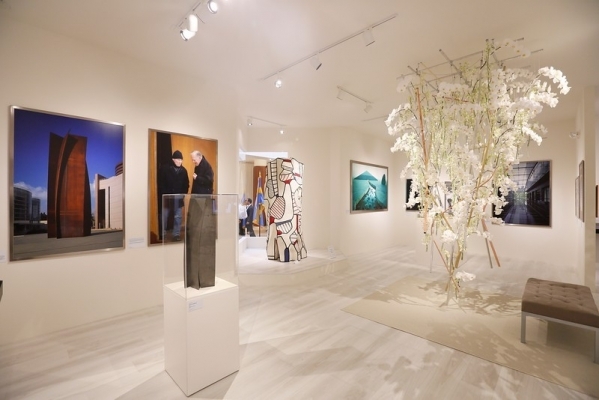 Wine flowed, hors d&apos;oeuvres were passed, live music, orchids and roses filled the room as people socialized and were the first to tour the exhibition. I met singers, designers and people who&apos;ve donated to the Segerstrom Arts Center over the years. We all had something in common: our love of Orange County and an appreciation for Henry Segerstrom&apos;s role making our little hometown, once a vast open space of orange trees and lima bean fields, a world class center for the arts. Between conversations over cocktails and hors d&apos;oeuvres, guests waited their turns to enter the exhibition, named for a quote about Segerstrom by Isamu Noguchi, the Japanese American artist who installed the nearby sculpture garden called "California Scenario." 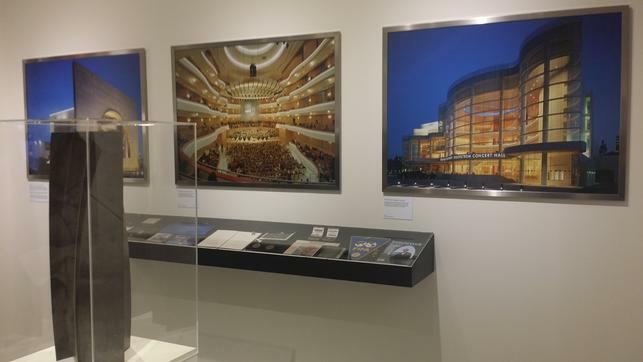 The exhibition explores the Segerstrom family and Henry Segerstrom&apos;s early career; his deep involvement with the visual arts and architecture; his close relationships with artists, colleagues and community members, and his role in creating Segerstrom Center for the Arts; and his development of the enterprise that was the center of his business life and his greatest pride, South Coast Plaza. 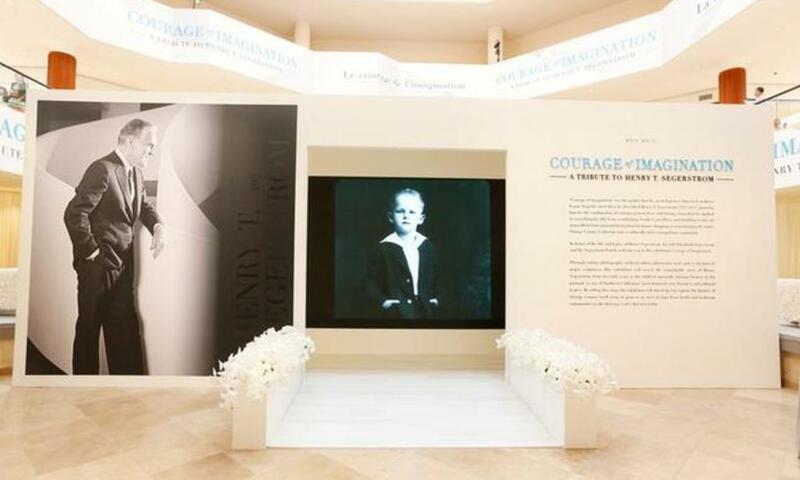 Through dozens of vintage photographs, archival videos, informative descriptions and a selection of major sculptures, the exhibition reveals the story of Henry Segerstrom, beginning with his early years as the child of farmers through his rise to one of Southern California&apos;s most prominent civic, business and cultural leaders. 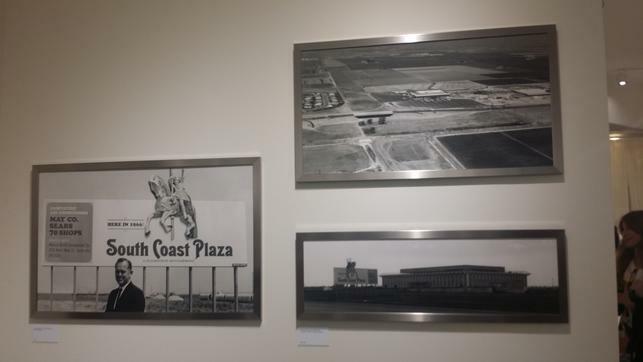 By telling this story, the exhibition encapsulates the history of Orange County itself, from a largely rural area into a thriving center of art and commerce. Henry Segerstrom&apos;s passion for the arts and his charismatic community leadership were recognized with honors including Carnegie Hall&apos;s Medal of Excellence, one of only four such awards bestowed by the institution in its 108-year history; the Tree of Life Award from the Jewish National Fund, presented to him by former U.K. Prime Minister Margaret Thatcher; a knighthood presented by His Majesty Carl XVI Gustav of Sweden; the Leadership Award of the Business Committee for the Arts, an organization that he served for several years as its National Chairman; Honorary Doctorates from Western University and Whittier Law School; and the Ernest C. Arbuckle Award of the Stanford Graduate School of Business, its highest honor. Courage of Imagination brings to light the man behind the awards. An OC native, Terry Winkler grew up in Corona del Mar when it was actually a sleepy beach town in the early 60’s. She’s seen OC grow from orange groves to a diverse metropolis offering a wide range of theater and entertainment venues for children, college students, community players and professionals. Terry left Orange County to attend San Diego State University’s Theatre Arts program and studied under some of theater’s best talents, including playwright Tom Stoppard. After college, Terry put her theater experience to use as an actress on stage, in TV commercials, and most recently has been focusing on directing original plays by local Orange County playwrights. Her greatest and most challenging role is playing Mom to her daughter and son in their daily life here in the OC. Terry is the founder of Enter Stage Write, an Orange County theater, entertainment and lifestyle website.